My new range Matilda will be arriving in stores very soon. 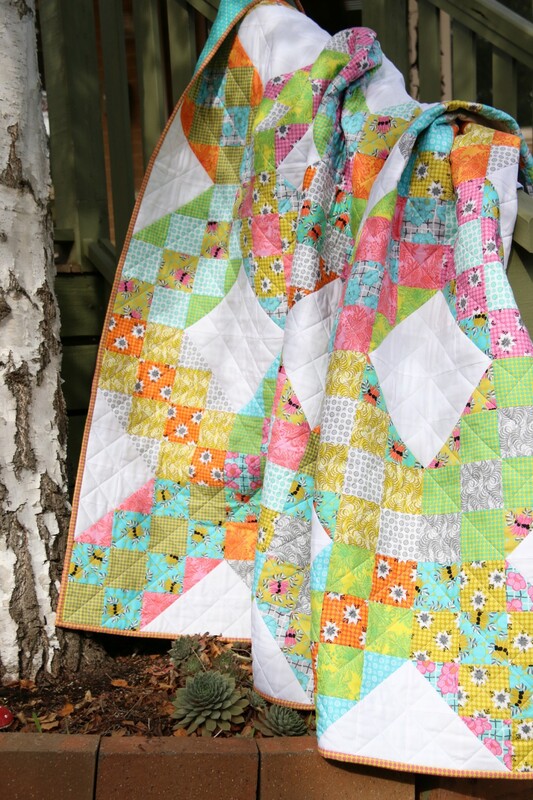 I wanted to share with you my new quilts that I designed using this bright zesty fabric. 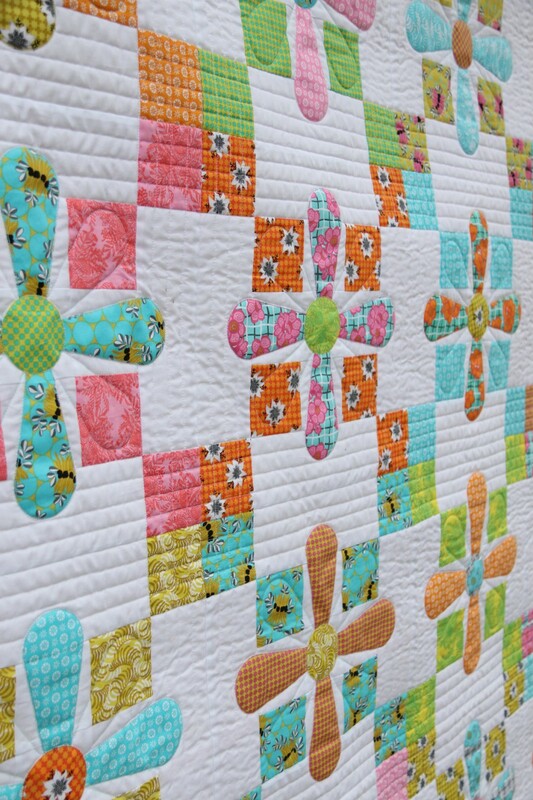 The first quilt is called Outback Blooms. It features basic piecing and raw edge applique. 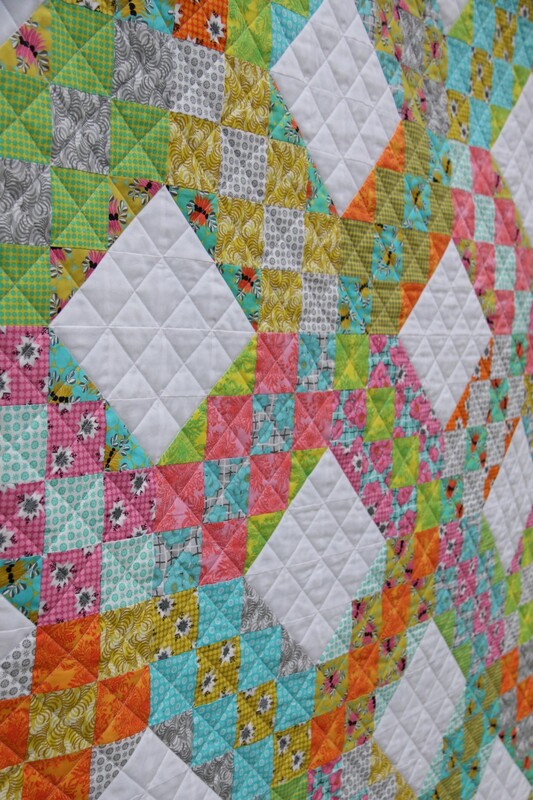 The quilt has been simply finished with straight line quilting and a touch of free motion. 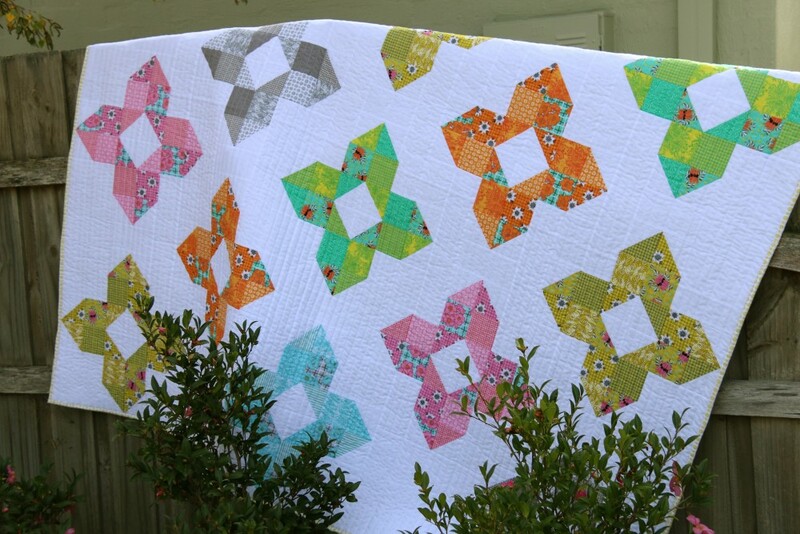 The next quilt I made is called Southern Cross Stars. It is made using squares and half square triangles. 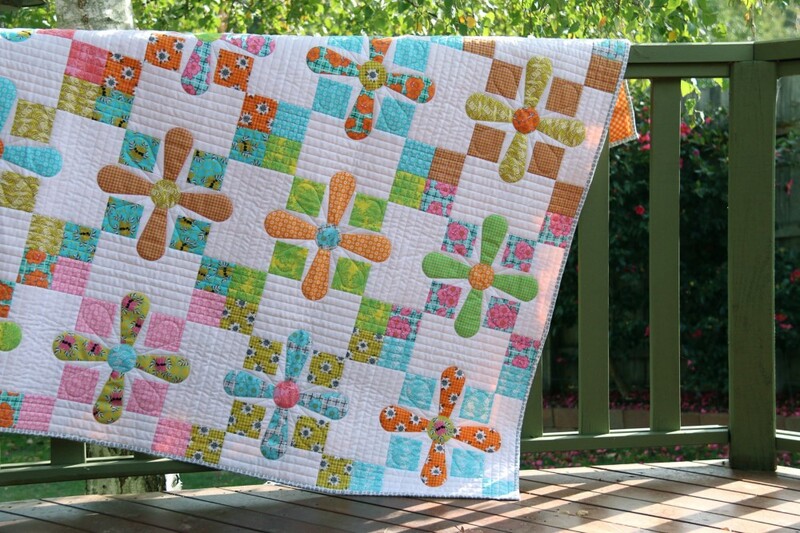 I think this quilt would also be very well suited to being a scrap quilt. Again I quilted this quilt with my walking foor using straight lines. 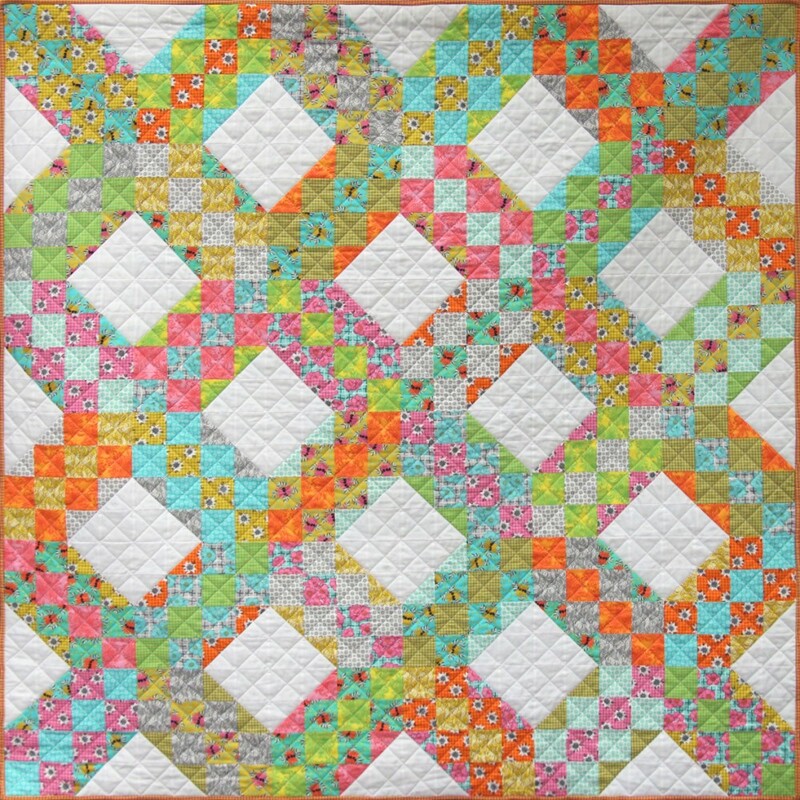 I find this quilting to really suit the style of the quilt and very easy to achieve. 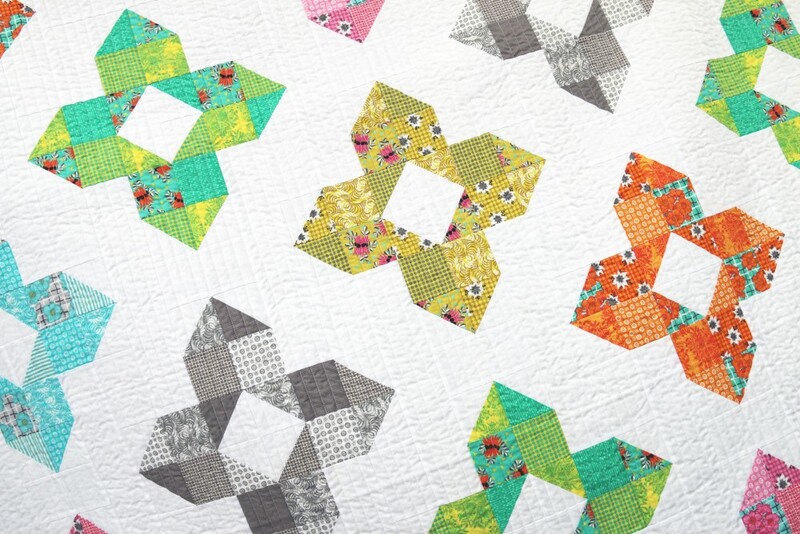 The third quilt is a study in colour and negative space and is called Bush Gems. I have had the idea for this quilt in my head for some time and was waiting for the perfect fabric to complete it. 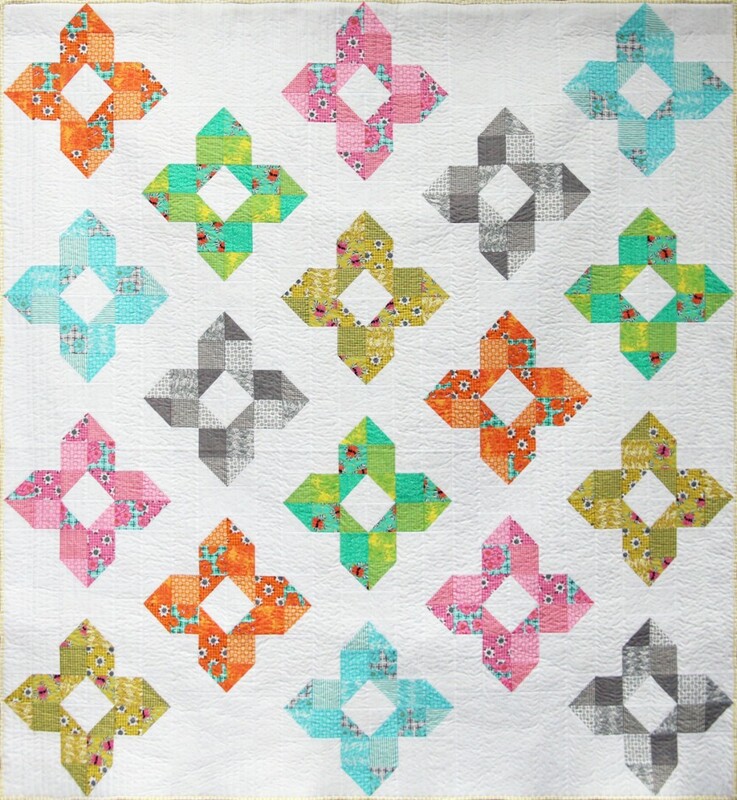 Bush Gems has been quilted using vertical lines and I love the effect!! 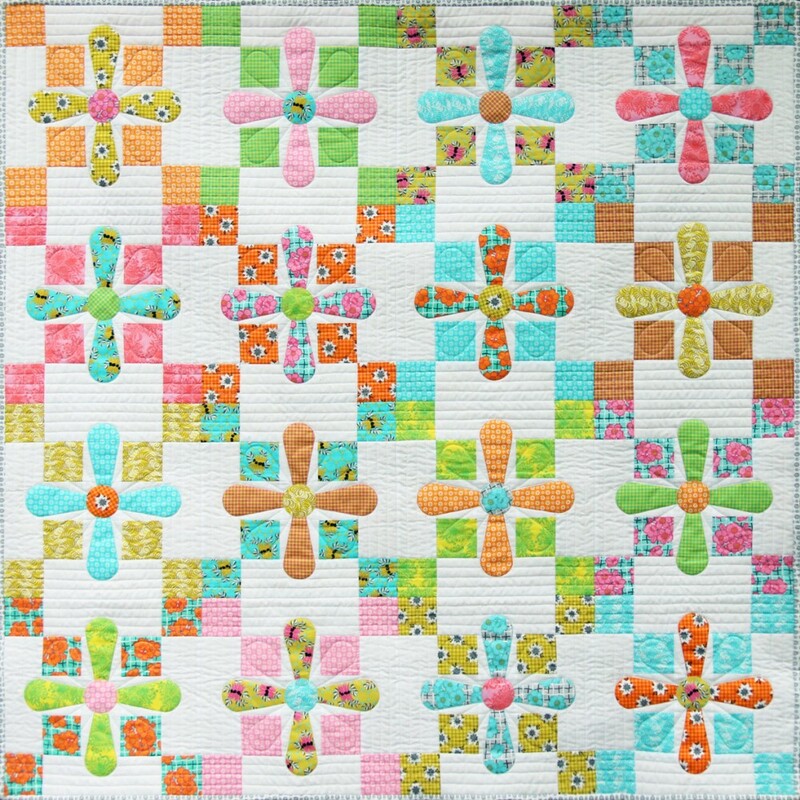 karen Goad: really love the one you call Southern Crosses, the fabric and the quilting suits it perfectly.